​One third of motorsport’s Triple Crown, the Monaco Grand Prix™ has pretty much everything a Formula One™ fan could want. There’s the exhilarating street circuit, with its tight corners bending around narrow streets, its famous tunnel, and its beautiful straights that send the F1™ cars zooming by the harbour. There’s the event’s inspiring 85-year history, which has seen all-time greats like Senna, Schumacher and Prost take victory. And then there’s Monaco itself, a breathtaking destination whether you love Formula One™ or not. There’s a truly unforgettable weekend to be had at the Monaco Grand Prix™. Every F1 destination is compelling for a different reason; maybe it’s the culture, landscapes or local way of life as well as the thrill and excitement of seeing a Formula One Grand Prix. Sometimes, you just don’t have time to explore and appreciate a Grand Prix destination beyond the circuit itself. But if time is on your side why not look beyond the Grand Prix weekend and make your trip into a spectacular holiday that you’ll never forget? We can help you organise the best excursions, eating in a particular restaurant or a champagne brunch - we can charter yachts, book tee times and whatever else will make the experience perfect for you! We have some wonderful itineraries that will help you see as much of your Grand Prix destination as possible - and more as well. Arrive at the Monaco Grand Prix in a Ferrari 488 Spider or Ferrari Portofino with our self-drive tour from Milan to Monte Carlo. Accelerate through the steep, winding roads of Lombardy, Piedmont, Liguria and French Riviera, putting your driving skills to the ultimate test. Arrive in Milan. Free day for sightseeing. The day starts with a briefing from your tour director, an expert Ferrari driver who will explain the controls and give guidance on how to handle the F1 paddle-gear shifting behind the steering wheel. 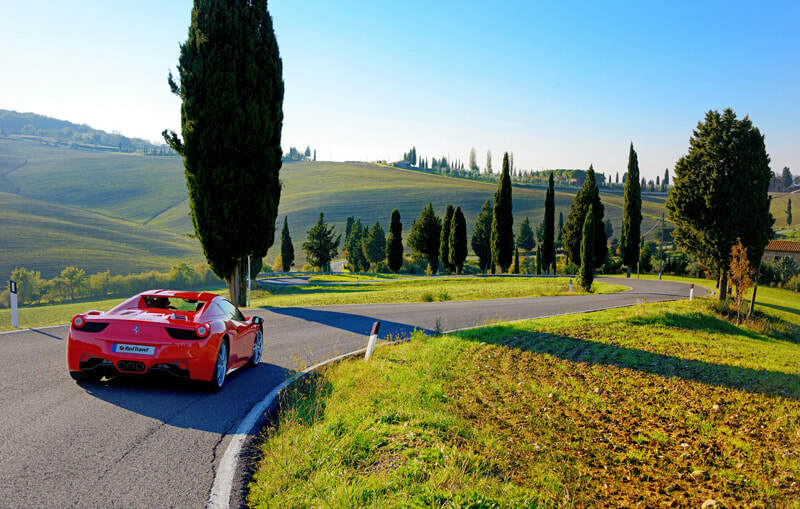 After a short Ferrari practice-drive, you will begin your journey heading towards the Langhe region & Alba. Your tour director will lead the way at the wheel of his powerfull Alfa Romeo Giulia. During the whole journey, your Ferrari and your tour director’s car will be constantly in touch by radio. 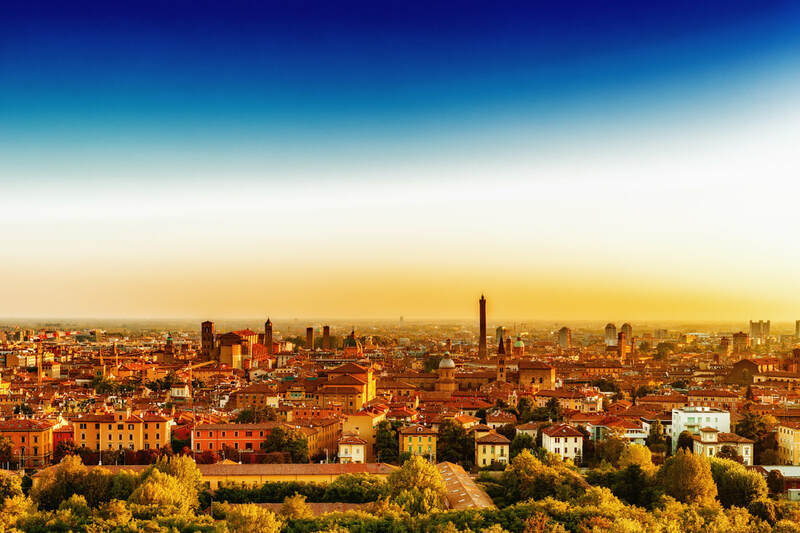 Alba is well-known not only for its long history but also as one of the gourmet capitals of Italy, famous for its truffles, it offers a rich variety of some of the finest Italian foods. Alba is a lovely town with castles, medieval palaces and towers, and many churches. Stroll alongside the Tanaro River, which slices through town, or along the Via Vittorio Emanuele, known for its delicatessen shops. Continue to to Barolo by Ferrari along the magnificent vineyards and through the splendid countryside of the Langhe area. Free time for a visit of the town. Stay overnight at the the Relais San Maurizio is a 17th century monastery which has been transformed into a stunning and discreet Relais & Chateaux resort. Continue your Ferrari journey towards France with a stop en route for lunch on the Ligurian Coast. The region of Liguria is a slender strip of land at the top of Italy’s boot, curving northwestwards around the Mediterranean, stretching from Tuscany to the French border. 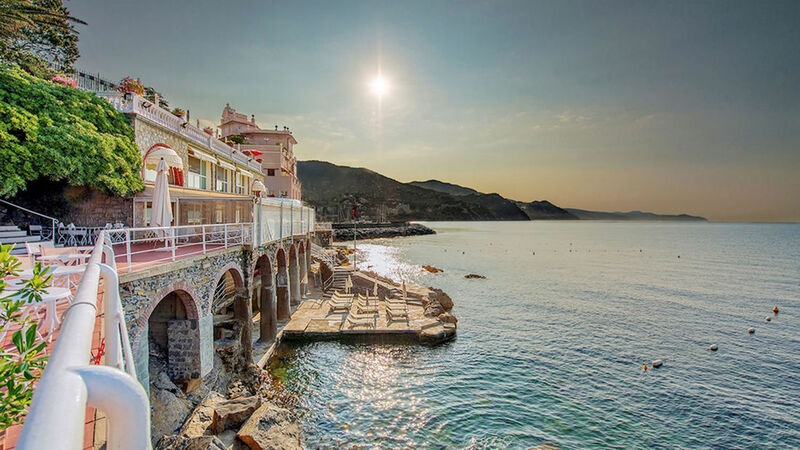 This area is often known as the ‘Italian Riviera’ and its seaside resorts and elegant promenades have attracted sun-hungry northern Europeans for more than a century. Stop at Final Borgo walled medieval town, one of the most beautiful in Italy. Stay over night in Monte-Carlo. Departure by Ferrari towards Provence. Today's first stop is at the charming historical town of Vence between Nice and Antibes. Take in the fabulous vistas down to the Mediterranean before continuing on to Saint Paul de Vence. Built on its rocky outcrop and surrounded by its ramparts built on the orders of François I°, St Paul is certainly one of the most beautiful villages in Provence. Lose yourself in the maze of charming streets, the floral exuberance of the gardens, the little shady squares, ancient fountains, gateways and porches, or wonderful windows and you’ll see why St Paul is a favourite subject for photographers. Trip includes opportunity to drive the latest models of Ferrari, private tour director during your drip, parking, cleaning and refuelling of the car and luggage transfers. Guide price EUR 23,700 per couple. Start (or end) your journey to Monte Carlo and the Monaco Grand Prix via some of Italy's most beautiful cities. Fly into either Florence or Venice stopping en route to Monaco in Bologna and Rapallo. Ferrari fans can even include a visit to the Ferrari Museum in Maranello. This is a tailor-made itinerary so take as much time as you need. We can arrange car hire or a private car and driver. This itinerary can be combined with any of our Monaco Grand Prix packages staying in either Nice or Monaco. The Côte d'Azur is one of Europe's most glamorous destinations. 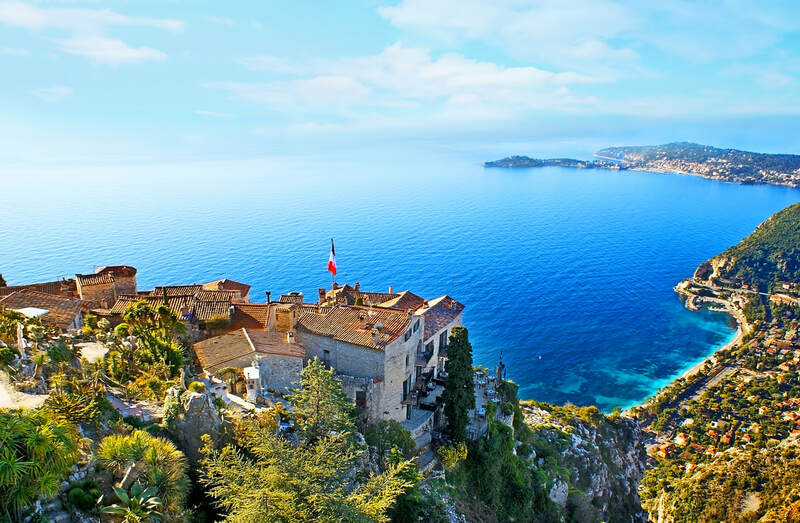 It twists and turns for more than 160km, and is dotted with popular destinations such as St-Tropez and Cannes and many lesser-known places including Eze and Vence. Fly into either Marseille or Nice and start (or end) your journey to Monte Carlo and the Monaco Grand Prix via the French Riviera. Movie buffs can also take in the Cannes Film Festival en route. This is a tailor-made itinerary so take as much time as you need. We can arrange car hire or a private car and driver. This itinerary can be combined with any of our Monaco Grand Prix packages staying in either Nice or Monaco. There’s a truly unforgettable weekend to be had at the Monaco Grand Prix™ – but, as with all F1™ events, a little inside information goes a long way to making it truly special. So here’s our Essential Guide to the best in accommodation, seats, hospitality and finishing touches. The biggest question about where to stay during the Grand Prix™ is – Monaco or Nice? In Monaco, you’ll be at the heart of the excitement. It’s a special feeling to be part of the world’s most famous race. Staying in Monaco, you can also walk to and from your grandstand, yacht, apartment or hospitality suite. It’s more convenient and there’s no waiting for transfers. There’s also no need to leave the party early. Immediately after the race, Monaco’s bars and restaurants come alive. It’s an incredible atmosphere you don’t want to miss. If you prefer the charming city of Nice, we provide regular transfers between Monaco and your hotel in Nice throughout the weekend. So there’s no long train queues to worry about. You can also stay at the circuit for longer – the trains back to Nice stop around 11pm, but our transfers don’t! ​Located a few blocks from the beach on the beautiful Boulevard Victor Hugo,the stylish Boscolo Exedra offers contemporary luxury and a fabulous spa. The classic Belle Epoque style façade contrasts wonderfully with a distinctly modern design inside. The renowned La Pescheria restaurant encourages you to taste the various a la carte dishes and the trendy Genesi Bar is a sophisticated venue to sip a cocktail and chat with friends or people watch on the boulevard. The Fairmont Monte Carlo occupies a prime location at the water’s edge looking out over the luxurious yachts; the perfect base from which to explore the charms of Monte Carlo. Each spacious guestroom comes with a private balcony, where time to enjoy a quiet breakfast can be appreciated. Every meal at the hotel becomes a special occasion due to the buzzing ambience in the restaurant and bars, and of course the panoramic views of the ever changing Mediterranean. The jewel in the culinary crown of the Fairmont is the influential Nobu restaurant, with a magnificent bar, exclusive lounges and a unique terrace bathed in stunning coastal views. Take some time to unwind in the Willow Stream Spa, an oasis of calm away from the bustle of the legendary casino next door. Absorb the peace and tranquillity, or make the most of the uninterrupted views across the Riviera as you take a dip in the rooftop swimming pool. Overlooking the Mediterranean's Fontvieille harbour, cool Columbus Monaco is conveniently located opposite Monaco's heliport, near the Oceanographic Museum and minutes from the Place du Casino. You get views of Mediterranean Sea on one side, and the Princess Grace Rose Garden on the other. Its distinctively sleek Riviera-chic style was the idea of the owner's wife, and made real by an award-winning interior designer. The result is a glamorous marriage of leather, marble, wood and slate creating an atmosphere of sublime tranquillity - a place to slow down, and feel good about life. Mere steps from the Casino Square, the hotel is perfectly located to make the most of this luxurious playground. With interiors decorated by designer Jacques Garcia, who goes by the nickname "Magician of atmospheres", the guest rooms represent the best in luxurious French design and display Garcia's nimble approach when it comes to blending the historic with the sultry and new. Induldge at the spa by ESPA which includes two suites, the "heat experience", heated outdoor pool and fitness studio; feast at the two-Michelin-star restaurant by super-chef Joël Robuchon, where Mediterranean cuisine and exceptional views create the perfect dining experience; or discover the Michelin-stared Japanese restaurant YOSHI. Breakfast is on the terrace, overlooking the casino gardens and the Mediterranean. The heart of the Metropole lies firmly in Monaco's infectious glamour, and even the hotel bar has a renown of its own - a place to see and be seen, open to the early hours, serving some of the best cocktails in town. A trip to the Monaco Grand Prix™ is a great opportunity to live the champagne lifestyle for the weekend. If you really want to make your Monaco Grand Prix weekend unforgettable – or even extend your stay – there are lots of great activities we can arrange for you. First, all Altitude Luxury Travel guests are invited to the Friday night Grand Prix party aboard our yacht. It’s going to be an incredible event. Champagne will be flowing on the decks of our luxury yacht moored at Monaco harbour, where F1™ fans from all over will come together in beautiful surroundings. A cover charge applies and availability is limited so please ask for details when you make your booking. 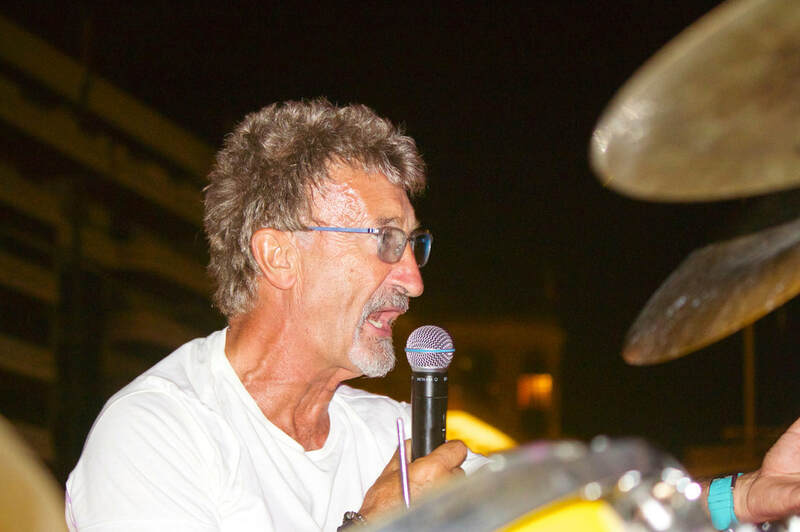 With live music from former F1 team owner Eddie Jordan and his band, we’ll party until the early hours. Other great party options include the Amber Lounge Fashion Show on Friday night and the Amber Lounge After Party on Sunday night. The Amber Lounge is where many F1 drivers and A-list celebs head after the race. Why not be part of the same elite party? Your other options include Ferrari and Lamborghini driving experiences, private excursions and Cannes Film Festival tickets. These are just a few ways we can help you make the most of your ultimate Monaco Grand Prix trip. strongly recommend making it Monaco. 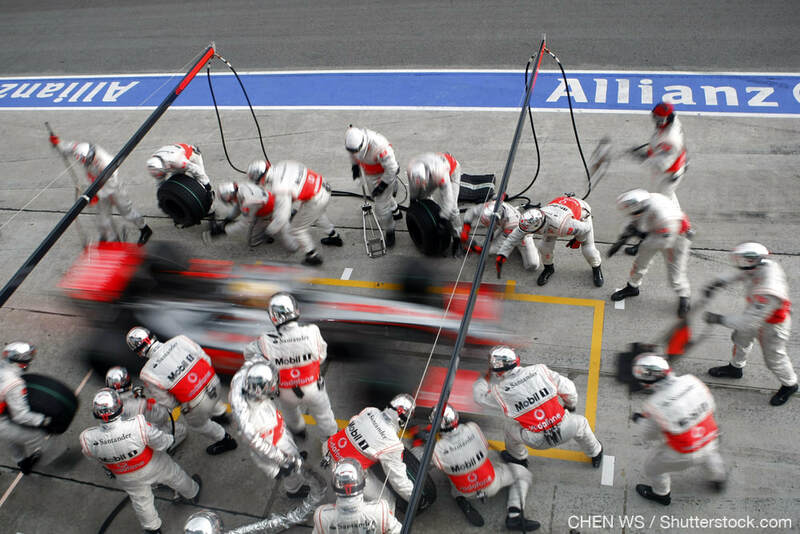 Marc worked for McLaren Racing for almost a decade as a race mechanic and member of the illustrious pit stop crew. He was part of every race from the glory days of Mika Hakkinen, right through to 2009, taking in, along with everything else, that incredible day in Brazil 2008 when Lewis Hamilton won his first World Championship. Marc’s worked closely with an amazing list of drivers, including 3 of the World Champions on 2015’s grid and remains friends with many of them today. In fact, such is the extensive nature of his list of friends and contacts throughout the paddock, he’s regularly in contact with key people from many of the teams, and therefore well abreast of much ‘inside’ information. Which hotels do you use? Our five-star and four-star-superior hotels have been carefully selected for their close proximity to the Grand Prix circuit or city attractions, and their reliability in providing exceptional service. You’ll enjoy sumptuous surroundings in an envied location.